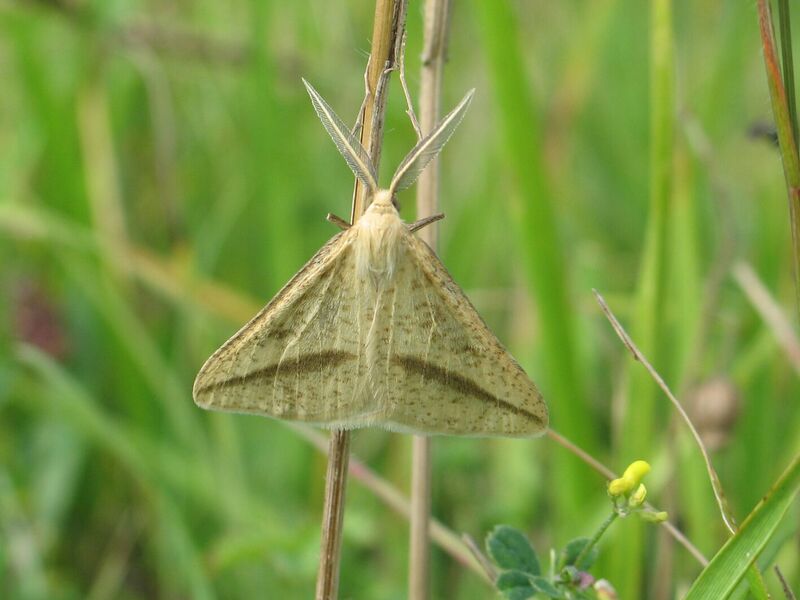 This moth is differentiated from all other moths of a similar size and shape by its pale straw colour. It can be confused with the Vestal, but that moth is smaller and lacks the spot on the forewing. Fairy Flax, Common Bird’s-foot Trefoil, Yarrow. Rough areas of quarries and grassland.